The Muslim charity sector is stronger than ever, attracting thousands of volunteers and millions of pounds in donations. In times of mobile internet and social media, young people have set up small scale charities in urban areas, providing general social services to Muslims and non-Muslims alike. Breaking away from bureaucratic non-governmental organisations and traditional faith-based charities, these smaller local associations are an attractive alternative to young people. 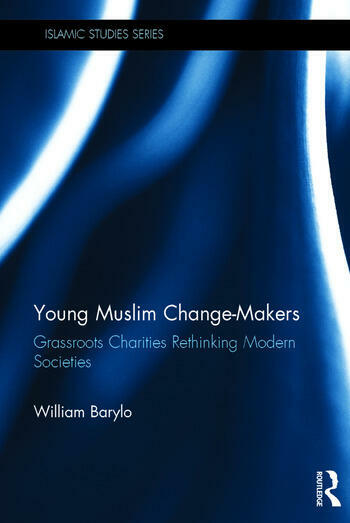 This book offers an exploration of the Muslim charity sector, from multi-million pound NGOs to discrete grassroots charities who are quietly giving rise to the next generation of Muslim entrepreneurs, scholars, politicians and other influencers. From studies of eleven charities across France, Poland and the UK, it investigates key questions around this young and dynamic movement. What motivates these young Muslim volunteers? What shapes the socially-engaged behaviour of young Muslims? What is the place and the role of Islam in their involvement and commitment to their causes? What social impact do these organisations have in their local area? How do they understand religion, faith, participation and citizenship? What challenges do they face and how do they overcome these? The book also examines how these grassroots are successful in helping to prevent extremism, curb Islamophobia and challenge colonialism. The analysis of these small, local and original initiatives is fundamental in understanding the role of religiosity for these younger generations who are trying to articulate their multiple identities, cultures and traditions in a modern, secular society. Rich, detailed and vivid, the book sheds new lights on a popular field of research, unveiling exclusive key information on the subject of young European Muslims. William Barylo is an independent researcher focusing on the articulations between diasporic cultures, religions and hyper-modernity from a decolonial and restorative perspective. He is an awarded photographer and film maker, having directed the internationally released documentary "Polish Muslims: an unexpected meeting".